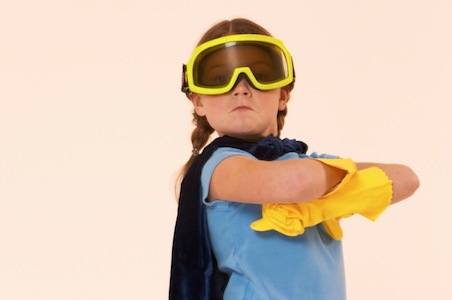 Every day there are numerous articles and stories about children who defy gender stereotypes. It seems that kids who dare to be themselves in the midst of a society that often disapproves of their choices are incredibly newsworthy—and they are becoming more and more noticed in both positive and negative ways. But why? It’s not as if these children have some hidden agenda to change gender stereotypes. No underlying need to be different for the sake of shaking things up. They do not wake up every day and think of ways to rebel, or possess a subconscious wish to be targeted or bullied. Nor are they trying to change the world by making a personal or political statement. No. What they are doing is openly loving themselves—something that becomes an elusive goal as we get older and a prime reason for psychotherapy for many. As adults, it seems we need constant reinforcement that tells us loving ourselves “just the way we are” is the only viable path to genuine happiness (Dr. Phil calls it being our “authentic selves”). Sometimes, we might even be punished for showing our true selves because it means going out into the world without apology. This can seem selfish to some. Unaware to others. Even crazy. So, when children exhibit the ability to be authentic, we suddenly become onlookers of tightrope walkers, magicians, of those who inspire both awe and fear. We might wonder how a child can be so oblivious to those standards and boundaries we believe we’ve made perfectly clear. Or perhaps we wish we could be that brave. What I have come to understand and know intimately is that the purity with which children develop their identity and self-love is directly linked to a significant factor: supportive parents. When we see a child who broadly steps outside of prescribed gender roles—a little girl with a buzz cut wearing boy shorts or a little boy with a pink tee or long hair—it is inevitably because a mom or dad let their kid make their own choices. It shouldn’t be a big deal, yet it is because we are all part of a system that tends to punish those who are different. We know all-too-well the potential consequences of unorthodox behavior, which is part of why we fear our children’s fearlessness. As a parent who has gone through this very emotional struggle, I get it. I have gone from trying to mix up my daughter’s wardrobe with hints of “girl” things, to now going straight to the boys department without even glancing over at the girls section. I have come to fully embrace and respect my daughter’s choices when it comes to how she expresses herself. And, once in awhile, she surprises me by choosing to wear her little silver hoop earrings, or asking if she can use my lip gloss. It’s all good. So, do parents deserve a pat on the back for allowing their children to simply be themselves? Of course not. But we must acknowledge that there are some who would not allow their son to wear a dress or their daughter to cut her hair short and also recognize why it can be such a challenge. Therefore, we cannot underestimate the value of parents who go outside their well-worn comfort zone to foster a child’s individuality by letting them explore their identities because research shows that inhibiting their curiosity can do great harm. We all talk a good game about self-love and self-acceptance, but we need to show our kids we truly believe it. They will thank us when they are adults living healthy and happy lives.